For someone who has been on a book ban for the past few weeks, I seem to have collected a rather sizeable selection of books lately. Thankfully, the ones I'm about to show you came from the lovely people at NetVoucherCodes, a collective who took pity on my bank balance, and actively encouraged me to ignore my groaning shelves and attempt to fit some more books into my bookcase. Thanks guys! I thought I'd give you a run down of the books that I picked up from The Book People's website, and also give you some more book related Christmas gift ideas that are cheap but also very cheerful. As ever, leave all your bookish thoughts in the comments below! Phew, now that's out in the open! I thought it was about time that I rectify this by opting for this festive Dickens tome to sit down and enjoy by the portable heater fire this Christmas. 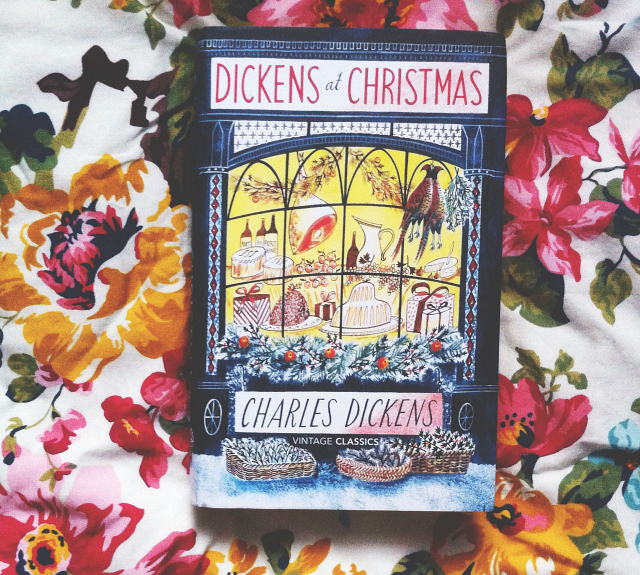 This volume includes many of Dickens' festive tales, including special editions of his periodicals, in a rather beautiful and extremely gift-worthy hardback edition. I'm rather looking forward to reading some of these on Christmas Eve, right after I've read Twas The Night Before Christmas aloud for the family, obvs! This also adds to my diddy Dickens collection, which is now three books strong! Submarine is one of my favourite books, and I never mention the word 'favourite' when it comes to books, so I have very high hopes for this particular offering from Dunthorne. 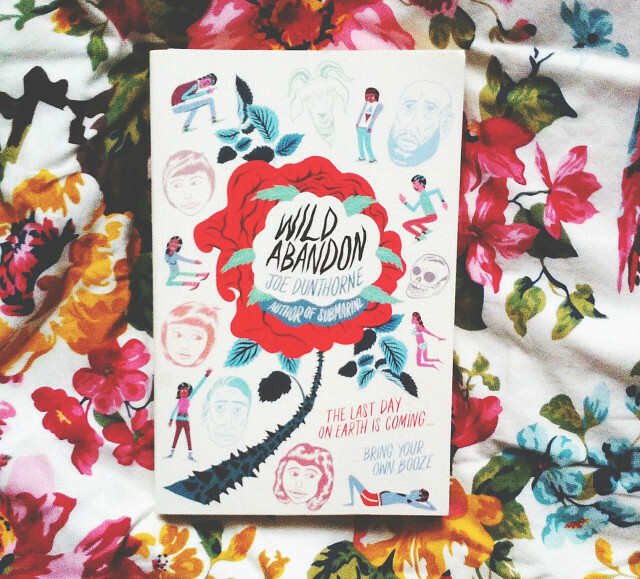 The premise sounds particularly interesting: Wild Abandon follows Kate and Albert, a brother and sister, who have grown up on a secluded communal farm, that has slowly begun to disintegrate, along with their parents' marriage. Disillusioned by their lives, they both try to escape, with Albert focusing all of his energy into preparing for the end of the world that he swears is nigh. Their father, and group leader, is convinced he can save everything by bringing his clan into the modern age through various means, including a rave with a 10k soundsystem. I've actually started reading this novel and whilst it hasn't tested my pelvic floor just yet, I'm still optimistic. I actually have the other edition on my Christmas list so I could end up with a bit of a double whammy but when both covers are pretty cool, I couldn't care less! This would make a great gift for all those who enjoyed Submarine, and for those who like their books to be funny. I actually read this last week and all I can say is: WOW! 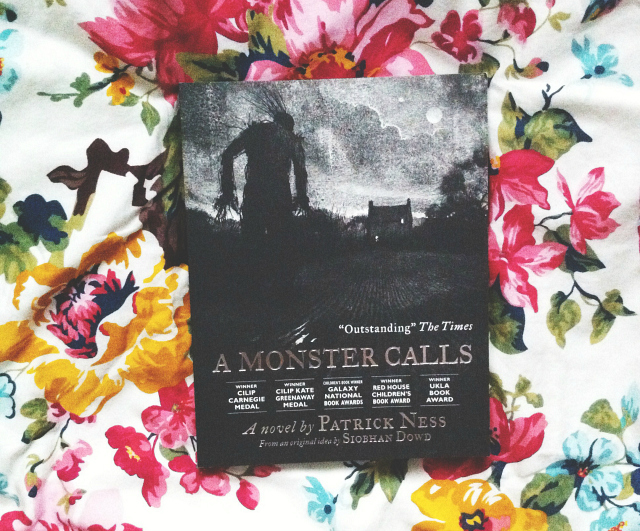 This book is absolutely beautiful. It's a complete tearjerker, so much so that I had to stop reading because I couldn't actually see anymore. However, in its fragility, and despite its delicate subject matter, it gave me hope and made me feel a little less anxious about the things that I've been through this year. The illustrations are also absolutely beautiful, and the illustrator has actually just been commissioned to re-design the Harry Potter novels. Oo-err! I've given it 5 stars and I'll be posting a review soon-ish. This book would make a perfect Christmas present for those who love illustrated tomes, for those who appreciate happy but sad tales and for those who need someone or something to let them know that they're not alone. It would also make a nice present to yourself...TW though because this book deals with cancer, grief and loss. This book is now a firm favourite of mine, and not just because I got a tweet off the author! Somehow I managed to get through 21 years of life without reading Orwell. I'm not entirely sure how that happened. However, I'm now slowly rectifying that fact by not only purchasing a pretty lovely second hand copy of 1984 the other day, but also with this little number from the Penguin Great Ideas collection. I love me a musing, and this definitely fits the bill. 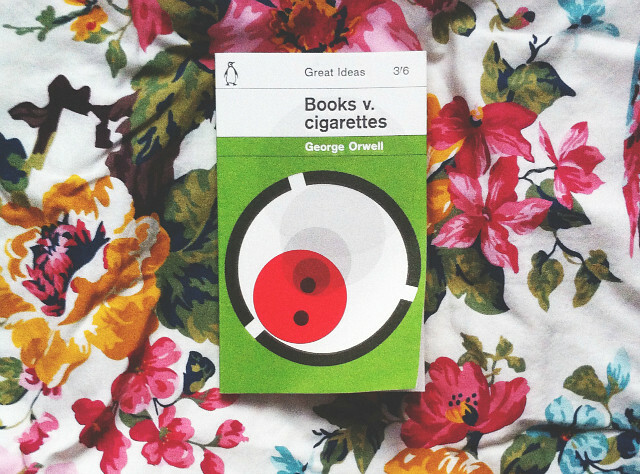 Books vs. Cigarettes is a collection of Orwell's essays, exploring everything from the cost of literature versus other recreational activities, to the freedom of the press, from the trouble with being a critic, to patriotism. I've read a few of the essays so far and they were interesting reads. Admittedly, I have found one or two of them to be a little too heavy for a quick read but I'll definitely be revisiting those when I have the energy! This would make a perfect gift for those weird and wonderful people who enjoy essays. Yes, they do exist! PS - LOVE your blog at the moment (and always), so excited to look at all your book bloggers on YouTube, didn't even know that genre existed! Oh I used to love The Book People, their stalls were always great and they used to have catalogues in our old office - always good gifts! I have just bought a similar and rather pretty copy of Christmas Dickens' tales for a tricky-to-buy-for friend for Xmas, which I hope she'll like. 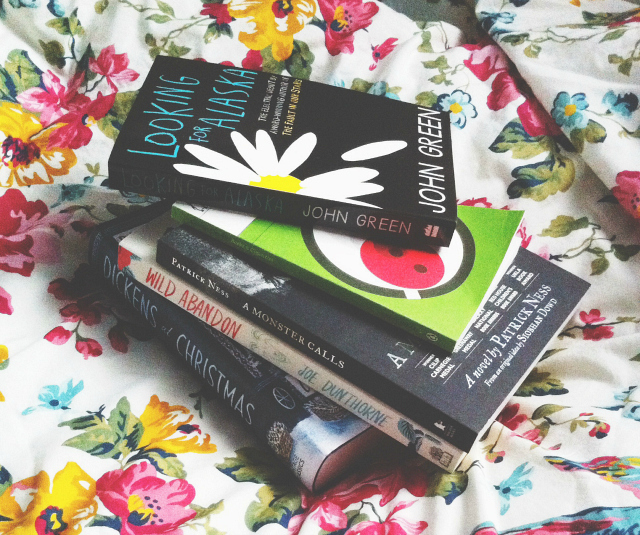 I've been wanting to get more books since I've had enough of ebooks. It looks like I have to peruse now to get some books for the upcoming holiday evenings! Thanks for sharing your books... I'm glad to have discovered The Book People, they seem to have some fantastic deals! I've been wanting the Roald Dahl book collection for a while now.